A twin flame love can be incredibly intense and at a spiritual level we know that this is just the connection. But emotionally and mentally it can blow our socks off. We are now at a time where more and more of Twin Souls meet and it is a powerful time of healing and learning that we indeed are all one. A twin flame union can show us a oneness and connection which allows us to experience this. If we can stay open and aware this can lead to so much potential growth and a powerful connection. This can be a union of two people who walk a path of deep spiritual purpose together and achieve and grow more than they would without each other. Often one wants to run as the intensity grows and this in turn often makes the other chase which really just makes it worse. Really good communication and voicing your feelings of being overwhelmed are crucial. Try to state that you need some quiet and that you are returning if you are the one who wants to run. For the other partner its important to release any insecurities and also voice them and then try to stay conscious rather than fall into a state of fear as this dynamic can trigger abandonment issues. Sometimes this can occur a few times and the best way to prevent a on and off again relationship is to just take some time without leaving completely or breaking up. For the one who feels overwhelmed its important to breathe deeply and also admit that it feels like it is too much. if you experience this several times you will realize that running does not make it better as there is no real peace there either. Often the separations can occur either temporarily or long term in a twin flame love. If their is turbulence within the relationship due to emotional baggage that one or both are carrying. The coming together takes place again when healing is ready to occur. There is an intense repelling and magnetic attraction that takes place between twin souls.A pushing and pulling which indicates that much healing work still needs to be done before a permanent reunion can occur. But the faster the two agree to work through this the faster a state of peace for both can be reached. It is how we have pre arranged to help each other to grow and also how to work on our “stuff” as our twin is our mirror and we are together to help each other to each become whole. This does not mean you can not be whole or heal without your twin as they were never broken away from you but they are of the same “soul stream” and can feel like home. Often our conditioning and different backgrounds in this life time can make it hard to not fall into patterns we have learnt. But those challenges can be overcome through openness and communication. Both will need to be so real and transparent it almost hurts and to be able to hold space for the other as they bare their soul. We are all one at a spiritual level and there truly is no separation and a twin Soul Love can be a way we can experience this while in our bodies. It can be very profound. This love can be absolutely unique and expands one into a feeling of oneness with their twin, and this feeling is often so big it starts encompass a feeling of spiritual oneness with all things. The chemistry between the twins can be extremely powerful so there can be a very strong sexual bond as well in a twin flame love . There are moments of complete certainty that they are meant to be in each others lives for a reason, no matter what, and that there is a higher purpose for their union with one another. So as you see the challenges are worth it it and can be overcome if both stay aware and open. The intensity can become a much clearer and more peaceful energy which is still strong but much calmer. As we are heading into a time where more and more of these twin souls connect there will be pointers on the way. Being able to “sense” the other person. Feeling the other when they think of you. Dreams about connecting with a love. You will have circumstances occur which bring you together again and again. Most of all trust your intuition it will let you know. So if this connection feels like it, it probably is. 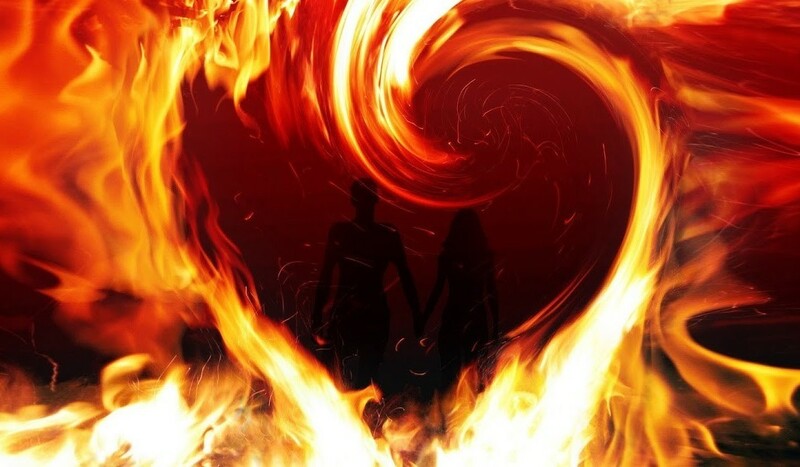 Sometimes twin flames meet after having learned some of what they came here for. Also I have met one set of twins who were actually twins and did not have a romantic connection. There are also friends who are twin souls and they will often have a very long and close friendship. Please comment below what your experiences are if you have or had a twin flame love. Thank you for this great article. From my experience, most of the problems between flames have to do with unresolved emotional issues from past lives. Due to their karmic connection, twin flames tend to carry lots of baggage from their previous lifetimes. Apart from doing personal work, it is advisable to start remembering the mistakes they made in their past lives so as not to repeat them in this lifetime. When this happens, the phenomenon of chaser – runner along with the separation period tends to be less intense. Hi, my name is Ray. I have some questions about a twin flame love. I would also like a hi res copy of the love heart image, can you supply that?